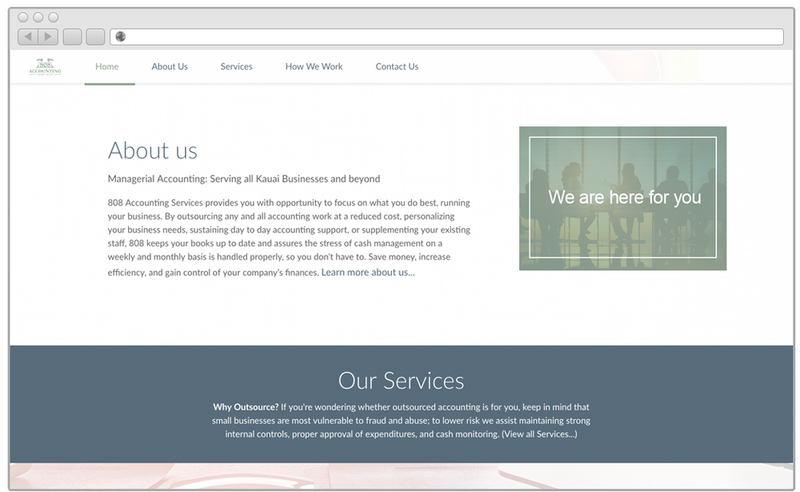 808 Accounting Services, was already in operation however needed a web presence. 808 Accounting Services was already up and running with word of mouth based clients, however they were ready to expand their reach. That is where we came in to learn about their primary demographics, and offerings, and to make a website that fit these two core components. Upon website launch, we consulted 808 Accounting Services on other avenues to market and grow.